At Evolve we will bring you the worlds most unique demonstrations. We are intent on creating both a highly differentiated performance in the air as well as on the ground! Ultimately, we want to create an environment where air show fans will have access to not only to the Jetwing aircraft but to the pilots and the entire team. This is the level of entertainment and equipment that is expected at almost every big motor sport event, so why should airshows be any different? Start your show with a Flag! To open any air show it is always an honor for us to skydive the representing countrys flag! We have 1,000 square foot USA, Canadian and Mexican Flags in stock and with advanced notice can have a new flag made to meet your event’s needs be it a sponsor company logo or Country Flag. Demonstrating the magic of fabric wingsuits flying in formation! 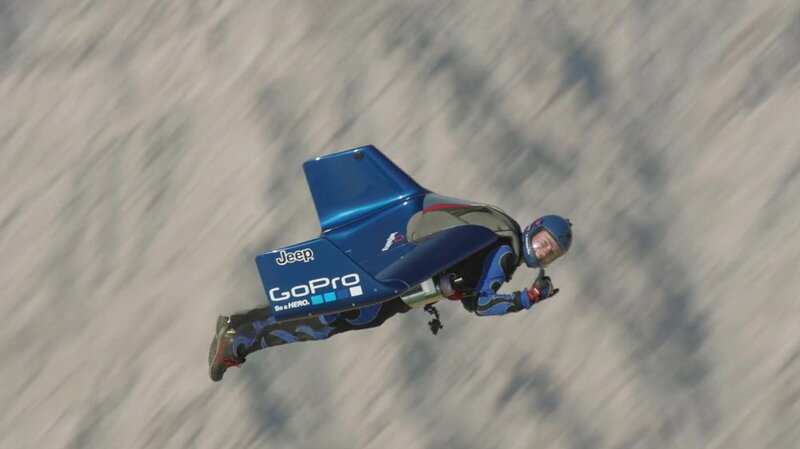 The world’s most unique airshow demonstration. A high energy routine flying Jetwings! Evolve Aerosports is building a wingwalking team! We are talking with Emily Guilding. 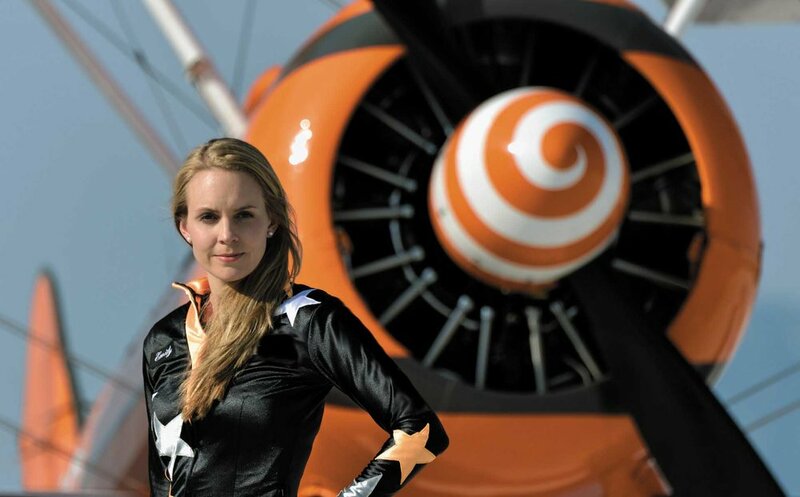 Emily is currently based in England and one of the most experienced formation wingwalkers in the world. Her role will be to build, manage and lead our wingwalking team.